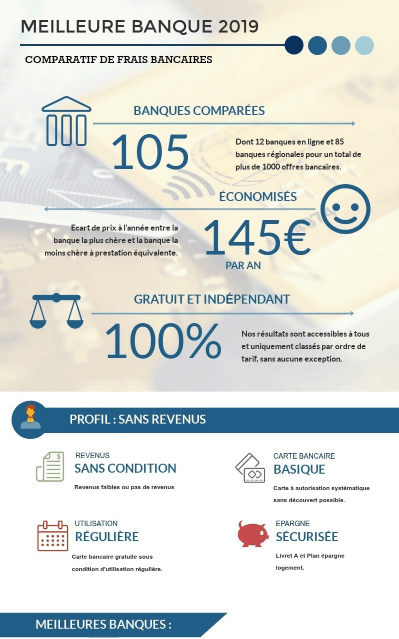 Online bank price comparison in France in 2019 by Enligne.top. People with no regular income will mainly be interested in N26 account which provides a free debit card that can be used in many currencies without fare. Moreover, the N26 account and card do not require a monthly usage or deposit. People with moderate income can register to ING account in order to get a Gold Mastercard which provides a premium insurance but they will have to make a 1200 euros deposit every month or will get charged 5 euros Eventually high revenue profile will turn to Boursorama to get a Visa Premier card with low currency fare and an 80 euros welcome bonus without additional condition.